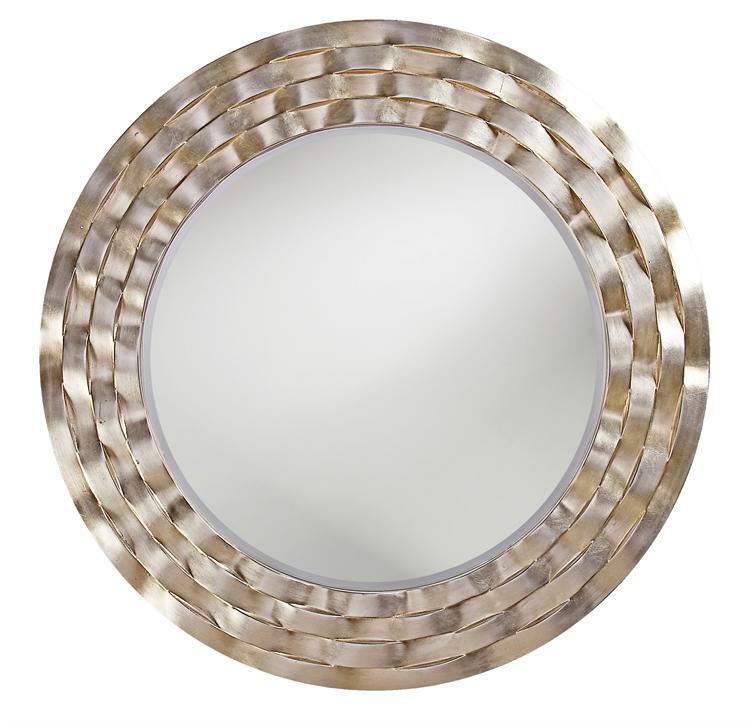 The Carlsbad Mirror features a round frame that is characterized by rows of wavy bars. The ripple effect that it creates gives the appearance of a basket weave design. The frame is then finished in a silver leaf with brass overtones. The Carlsbad Mirror is a perfect accent piece for any design. The mirrored glass on this piece has a bevel adding to its beauty and style. Also available in a rectangular frame. Customizable for larger orders.